Born in New York City, Cynthia began learning The Pilates Method in 1976, as a young dancer. Later she received a contract to dance with the New York City Ballet and worked for some of the world's greatest choreographers like, George Balanchine and Jerome Robbins and others. During this time she continued to practice Pilates at the then Joseph Pilates studio in New York City with Romana Kryzanowska. By the end of 1987, Cynthia moved to Sydney during which time she continued to do some Pilates with Alan Menenzies while maintaining her dancers body. Later in 1990 to 1992 Cynthia went back to dancing professionally and continued her career by joining The Sydney Dance Company and then later with Bangarra Dance Theatre. It was during her time with The Sydney dance Company that Cynthia met Megan Williams, and rallied to support the idea of beginning a studio on their premises down at the Wharf. This later began the start of the APMA for Megan Williams. In 1994 Cynthia returned to New York City to study as an instructor under the guidance of her teacher, and mentor, Romana Kryzanowska - one of the last remaining disciples and protégé of Joseph H. Pilates. Returning to Sydney later that year as a certified instructor of the True Pilates Method, Cynthia opened her studio The Pilates Method and soon after developed a Training Centre under the name of The New York Pilates Studio in Sydney together with Sean Gallagher, Romana Kryzanowska and Sari Mejia Santo. Cynthia brought the first Authentic Teacher-Training program to Sydney in 1998. During this time she continued to travel back to NYC to participate in further developing what is now known as Romana’s Teacher Training Program, now more commonly referred to as the “Classical “ training. In 2009 Romana appointed Cynthia one of only three Grand Master Teacher Trainers worldwide. Cynthia has trained most of the true classical Pilates instructors operating throughout Australia, Asia, New Zealand, United States, and Russia. Because of her love, passion and commitment to the Pilates Method and Romana, Cynthia continues to work hard in maintaining the program in Sydney at her studio, Cynthia Lochard’s Pilates Method Studio. Cynthia also continues to be sought after travelling the world, sharing her vast wealth of knowledge and experience to studios, conducting Seminars, Workshops, assessing students and presenting Continuing Professional Education courses. 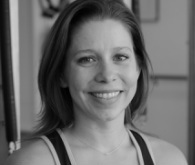 Lea Francis comes to Pilates from an extensive background in dance. Having trained in classical ballet, she went to dance in some of Australia’s leading dance companies such as Sydney Dance Company, Chunky Move, Bangarra Dance Theatre and guest appearances with the Australian Ballet. Lea enjoyed the benefits of Pilates as part of her daily training routine during her career as a dancer. Later sustaining an injury to her knee, Lea found those benefits instrumental in her rehabilitation which allowed her to safely continue her dance career with strength and support. Lea later returned to The Pilates Method Studio to retrain with Cynthia Lochard as an Instructor in 2002. Lea has since been promoted to a level 3 Instructor Trainer of the Romana’s Pilates Training Program. Zanzi mann has been a certified Instructor of the Pilates Method since 2001. She was first introduced to Pilates in 1996 when she came to Cynthia Lochard as a High School student. It was then that she developed her instant passion for the method which inspired her to train and pursue Pilates as a career. Zanzi was trained here in Sydney in the Pilates Method with Cynthia Lochard and has also trained and completed a course in basic anatomy and physiology. Zanzi has also completed her Certificate 3 in Fitness at the Fitness Institute Australasia. Zanzi was recently promoted as an instructor trainer of Romana’s Pilates and continues to bring inspiration and integrity to the studio and her clients. 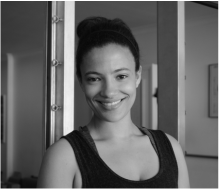 Zanzi has since been promoted to a level 3 Instructor trainer of the Romana’s Pilates Training Program. Tamika, the daughter of Cynthia Lochard, has been involved in the method from a very early age. As a high-level athlete in her teenage years, Tamika was involved in a variety of sports including touch football, netball, water polo and competitive swimming before a sporting injury forced her to retire, and in the process, gravitated her towards a career in Pilates. 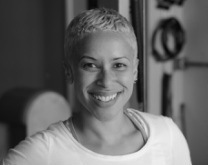 Given her experience, while having Cynthia as her mentor and trainer, Tamika excelled in the program, moving to New York to become one of the youngest certified instructors in the true Pilates method when Sari Meija-Santo certified her in 2009. Since her certification, Tamika has spent the past few year mastering her craft overseas in New Orleans and New York, while featuring as a guest teacher in New Zealand and Russia. In addition to her Pilates certification, Tamika also completed a Certificate 3 in Fitness at the Australian Fitness Institute. 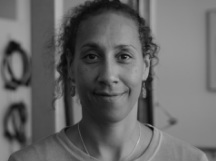 Tamika has since been promoted to a Level 4 Instructor trainer of the Romana’s Pilates Training Program. After graduating university in 2005 with a BA degree in Business and Finance Laura pursued a career in Property Development and worked in the industry for 7 years. Being an avid fitness goer her whole life the health and fitness industry had always inspired her, in-particularly the Pilates Method. With Romana's Pilates Instructors hard to source in the UK, Laura was intrigued to know more about the Method and decided to spend 3 months in California, USA with Tiziana Trovati (Level 4 Instructor Trainer) who introduced her to the work and helped to prepare her for the training program. Laura valued her time and experience at Tiziana's studio following which she travelled on to Sydney to commence her instructor training under the watchful eye of Level 1 Grande Master Instructor Trainer, Cynthia Lochard. During her apprenticeship Laura actively helped out daily, both around the studio and in the office. In 2013 Cynthia offered her full time position as Studio Manager which she gratefully accepted. In early 2014 she obtained her Romana's Pilates certification and now divides her time between teaching at the studio and assisting Cynthia to manage the business. In addition to her Pilates certification, Laura also holds her certificate 3 in Fitness which she obtained here at the Australian Collage of Sport and Fitness. Born and raised in Austin, Texas USA. In 2002 she received her Bachelor of Fine Arts in Dance Education from Arizona State University. After college her interest in the body led her to study massage therapy, and in 2005 she moved to San Francisco where she began working as a body worker while training and performing with local modern dance companies. Through her dance training Michelle discovered Pilates and the benefits of a regular Pilates practice. In 2010 Michelle made a permanent move to Australia with her husband and two children. She began training at Cynthia Lochard’s Pilates Method Studio and quickly confirmed her passion for the work beginning the training program. Upon completion of the program, she stayed on as an instructor and loves that she gets to work closely with Cynthia and her staff of Principle Instructors. In addition to instructing at The Pilates Method, Michelle teaches dance to students of all ages and runs her own Pilates studio in Engadine. Paddy Coary first became involved in Pilates in 2009 when he was looking for a way to complement the weight and cardio training he was already doing for football. 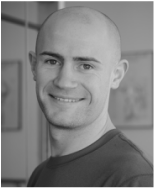 After two years as a client Paddy decided he wanted to learn more about the Classical Pilates Method and he began his apprenticeship with Authentic Pilates Education Australia in 2012. In 2014 Paddy started training with Romana's Pilates International Teachers Training Program (IITP) at Cynthia Lochard's Pilates Method Studio, finishing his apprenticeship with Romana's Pilates in 2015. He has now joined the staff at Cynthia Lochard's Pilates Method Studio in Surry Hills. Paddy is committed to the Pilates method and continues his studies and continuing education workshops.